This article was originally published in the December 1994 issue of the Rothbard-Rockwell Report. For some time I have been hammering at the theme that the main cultural and political problem of our time is not “secular humanism.” The problem with making secularism the central focus of opposition is that, by itself, secularism would totally lack the fanaticism, the demonic energy, the continuing and permanent drive to take over and remake the culture and the society, that has marked the left for two centuries. Logically, one would expect a secular humanist to be a passive skeptic, ready to adapt to almost any existing state of affairs; David Hume, for example, a philosophic disaster but quietly benign in social and political matters, would seem to be typical. Hardly a political and cultural menace. 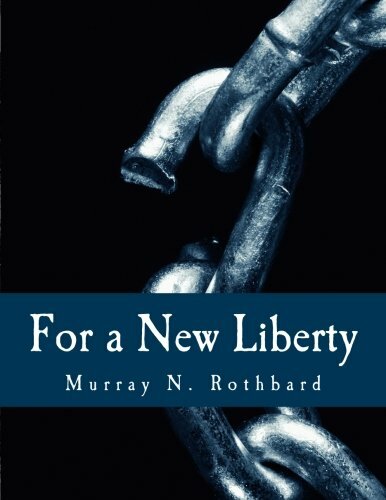 For a New Liberty: The... Murray N. Rothbard, Mu... Best Price: $5.83 Buy New $10.50 (as of 08:50 EDT - Details) No: the hallmark and the fanatical drive of the left for these past centuries has been in devoting tireless energy to bringing about, as rapidly as they can, their own egalitarian, collectivist version of a Kingdom of God on Earth. In short, this truly monstrous movement is what might be called “left-post-millennialist.” It is messianic and post-millennialist because Man, not Christ or Providence, is supposed to bring about the Kingdom of God on Earth (KGE), that is, in the Christian version, that Christ is only supposed to return to earth after Man has established the 1,000-year KGE. It is leftist because in this version, the KGE is egalitarian and collectivist, with private property stamped out, and the world being run by a cadre or vanguard of Saints. During the 1820s, the Protestant churches in the Northern states of the U.S. were taken over by a wave of post-millennial fanatics determined to impose on local, state, and federal governments, and even throughout the world, their own version of a theocratic statist KGE. A “Yankee” ethnocultural group had originated in New England, and had migrated to settle the northern areas of New York and the Middle-Western states. The Yankees were driven by the fanatical conviction that they themselves could not achieve salvation unless they did their best to maximize everyone else’s: which meant, among other features, to devote their energies to instituting the sinless society of the KGE. These newly mainstream Yankee Protestant churches were always statist, but the major emphasis in the early decades was the stamping out of “sin,” sin being broadly defined as virtually any form of enjoyment. By the later years of the nineteenth century, however, economic collectivism received increasing attention by these left millennialist Protestants, and strictly theological and Christological concerns gradually faded away, culminating in the explicitly socialistic Social Gospel movement in all the Protestant churches. 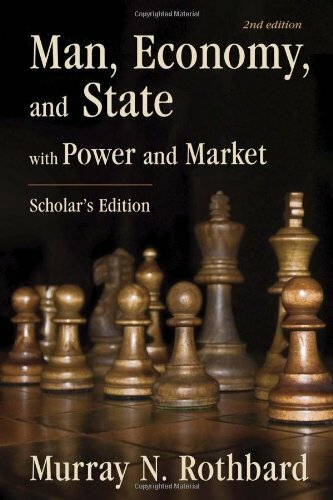 While every one of the Yankee Protestant Man, Economy, and Stat... Murray N. Rothbard Best Price: $26.45 Buy New $30.00 (as of 09:25 EDT - Details) denominations was infected and dominated by left millennialism, this heresy prevailed almost totally in the Methodist Church. SAINT HILLARY Which brings us to our beloved First Couple. I have already mentioned that Slick Willie, in addressing a black Gospel church in Maryland on behalf of God’s alleged commandment to pass his crime bill, revealingly told the assembled congregation that the goal of his “ministry” is to bring about “the Kingdom of God on earth.” That should have sounded the fire alarm throughout the nation. Unfortunately, to an American public possessing little knowledge of history or theology, Clinton’s remarkable statement went unreported. But, as we all know, it is Hillary, not Slick Willie, who is the hard-core ideologue in the White House. Hillary’s theological agenda was perceptively unveiled recently by the knowledgeable, if admiring and liberal, Kenneth L. Woodward, religion editor of Newsweek. (Kenneth L. Woodward, “Soulful Matters,” Newsweek (Oct. 31, 1994) pp. 23–25) In a lengthy exclusive interview with Hillary, Woodward reports that our Lady Macbeth simply considers herself “an old-fashioned Methodist.” Hillary’s pronouncement is not as absurd as it might first seem. Hillary Rodham was born in northern Illinois Yankee country, in the Chicago suburb of Park Ridge. Her grandparents told stories about their Methodism in early-nineteenth-century England, not many generations removed from the founding of Methodism by John Wesley. Hillary’s family were pious Methodists, and Hillary herself was inducted into the Social Gospel by the Rev. 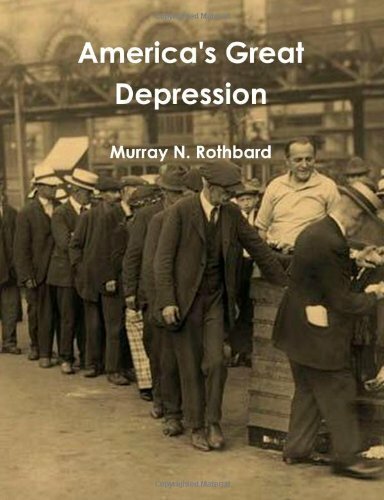 Donald Jones, the then youth minister Americau2019s Great De... Murray N. Rothbard Best Price: $3.31 Buy New $74.78 (as of 12:40 EDT - Details) at her Park Ridge First United Methodist Church. I am sure that we are all gratified to learn how Hillary got her start in the cause of “social reform”; as Woodward fondly puts it, the Rev. Jones “developed his privileged suburban students’ social consciences by taking them to visit migrant workers’ children.” The most important passage in Woodward’s article is his explanation of the importance of Methodism within the American Protestant spectrum: “More than other Protestants, Methodists are still imbued with the turn-of-the-century social gospel, which holds that Christians have been commissioned to build the Kingdom of God on earth.” Only a few brush-strokes are needed to complete the picture. The Rev. Jones, a frequent visitor to the White House, but who seems at least to have a sense of humor and perspective that the arrogant and self-righteous Hillary totally lacks, puts it this way: Even today, says Rev. Jones, “when Hillary talks it sounds like it comes out of a Methodist Sunday-school lesson.” And: “Hillary views the world through a Methodist lens. And we Methodists knew what’s good for you.” Now obviously, and of course, a lot of this is Hillary’s drive to “reinvent” herself, that is, to create a duplicitous false image, to make herself less threatening to the angry American public. And surely the late-nineteenth-century Social Gospelers would be horrified at the current multi-gendered, condomaniacal Clintonian left, to say nothing of the rapid revolving of poor John Wesley in his eighteenth-century English grave. But there is definitely a direct line of descent from the Methodist Social Gospelers of the nineteenth century to St. Hillary and the monstrous Clintonian left. Mix into “old-fashioned Methodism” liberal doses of Marxism, the New Left, the pagan pantheist New Age, and the multicultural and sexual revolutions, stir briskly, and you get the current ruling horror that we all face, and are trying to roll back out of our lives. We face, in short, regardless of what hairdo or persona she affects next week, the evil Witch in the White House.